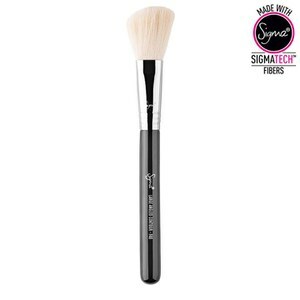 Sigma's Best of Sigma Brush Set combines seven, signature quality makeup brushes with exclusively thin fibres that softly and effectively pick up and deliver powder, liquid and cream products. Designed for use on the eyes and face, this essential collection will allow you to create natural or dramatic looks with ease and precision. - K.N. F80 – Flat Kabuki™: Application of liquid or cream products to flat areas of the face such as the forehead and cheeks. 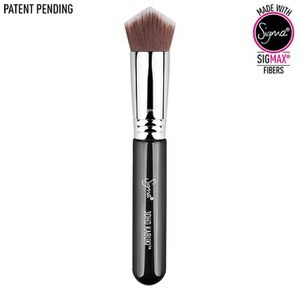 F64 – Soft Blend Concealer™: Best for buffing and evening out concealer applied with a light hand on large areas or all-over finish of the face. 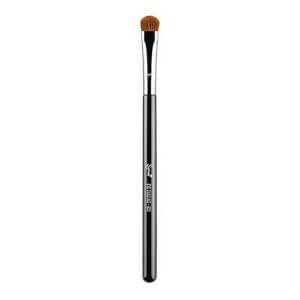 E57 – Firm Shader: Helps you to apply intense colours all over lid for a controlled colour finish. E38 – Diffused Crease™: Blends strong colour into crease for a diffused effect. E34 – Domed Utility™: Applies and blends intense colour into the crease and outer corner with high colour payoff. 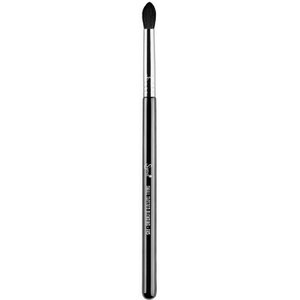 E21 – Smudge: Precise application and smudging of colour onto the upper and lower lash lines.